Travel nursing is a highly rewarding job for nurses across the country. Generally travel nurses receive higher pay, free accommodations, daily per diems, travel reimbursement and many other benefits. They also are rewarded with great experiences of being able to travel around the country and working in various hospitals. While travel nursing may not be for everyone, especially those with ties to a certain area, it can be an amazing opportunity if you can be flexible and looking for freedom. For the most part, a nurse will need to work with a recruiter to find a travel nurse position. We can help nurses make that first step and find a recruiter to get the process started. When an RN completes their profile on our website, we send your information to some great agencies who work with facilities across the county. With just a couple minutes of your time, My Nurse Recruiter will save you hours of time searching and locating agencies and applying to each of them. This entry was posted in News on January 27, 2014 by MyNurseRecruiter. The NLN announced the results of it’s Board of Governors elections at its 2013 education summit on September 20. Marshall Howell Adams who is the senior associate dean of academic programs at the University of Alabama Capstone College of Nursing in Tuscaloosa became the next NLN president. Dr. Adams will serve as the League’s president until 2015. Two new members also joined the NLN Board of Governors. Janet Tompkins McMahon is the clinical associate professor of nursing and nursing education consolidated department of nursing at Towson University in Maryland and G. Elaine Patterson is a professor of nursing at the School of Theoretical and Applied Sciences at Ramapo College in New Jersey. Anne R. Bevier previously served as the governor at large and board of governors secretary, will now serve as the president-elect. Joan L. Frey, dean of the Louisville Campus of the Galen College of Nursing in Kentucky was re-elected secretary and will thus continue to serve another two years in that office. This entry was posted in News on November 25, 2013 by MyNurseRecruiter. According to a Gallup poll released late last year, Registered Nurses rank top among the most trusted professions. The survey uses rankings such as ethical standards and honesty. With this most recent survey, Registered Nurses have topped the list for 13 of the last 14 years. The only year nurses did not top the list was in 2001 when they were bumped for fire fighters who topped the list after the 9/11 terrorist attacks. Even more impressive is the fact that 85% of Americans rate nurses’ ethical standards and honesty as “high” or “very high” since 1999 when nursing was first put into the poll. We at My Nurse Recruiter didn’t need to see these rankings to understand what nurses mean to the healthcare industry, families and patients. It’s in our slogan, “You’re Important, Be Treated That Way“. Since 2006 we have worked hard to help nurses find positions that they will not only love but thrive in. We will continue to work with nurses and clients on consistently improve our service. Nurses have enough on their plates working to rank Number 1 on annual Gallup Polls, saving lives and comforting patients and families. Let us at My Nurse Recruiter help you save time and find the perfect position for you. This entry was posted in News on November 4, 2013 by MyNurseRecruiter. Why should you use a nurse recruiter? A nurse recruiter helps RNs find positions throughout the country. Many times we are asked why should I use a nurse recruiter instead of just looking for a position on my own. As a nurse you are important and the demand for your skills and expertise is vital to many facilities across the country. A nurse can certainly perform job searches on their own, send in resumes to prospective employers, follow up on the status of their resume, schedule interviews, etc. A nurse can also have someone handle all those tasks for them. Nurse recruiters are trained to help candidates find positions that meet their needs and desires. This can help save you substantial time and aggravation. Nurse recruiters understand the positions they have, which ones you would be qualified for, and help you to land that position. One of the biggest reasons for not getting a call back on a position you have applied for is that you may be over or under qualified. Unfortunately for you, this is not the best use of your time. A good nurse recruiter will already know what their clients are looking for in a nurse when it comes to filling a position. They will use that information and give you the best shot at landing a great job that fits both you and the facility. Another reason to consider a nurse recruiter would be if you are looking to relocate. Moving to another state or even across the country can be a tough task. A nurse recruiter will help you find positions in an area you may not be familiar with. Being open to a location will vastly help improve your chances of finding a position quickly. Its in these cases that a nurse recruiter is even more beneficial. Searching for jobs in multiple states or throughout the country is a daunting task. One of the biggest reasons for many nurses to use a recruiter is travel nursing. 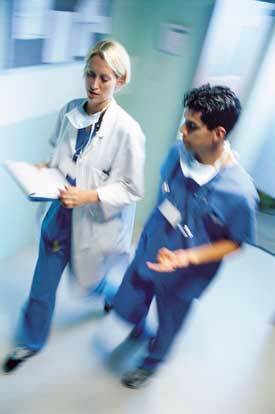 Travel nurse recruiters are almost a necessity if you are interested in getting into travel nursing or contract work. A travel nurse recruiter is a little different than other recruiters because generally you will work for the recruiter’s agency instead of the facility where you are actually doing the physical work. They will provide you with your wages, benefits, relocation assistance, housing, etc. With a permanent placement recruiter you are employed with the facility that you were placed. This entry was posted in News on October 14, 2013 by MyNurseRecruiter. The National League for Nursing named nine schools of nursing and one healthcare organization as Centers for Excellence. Norton Healthcare of Louisville, Kentucky joins the ranks as a healthcare organization receiving the Centers for Excellence Designation by the National League for Nursing. The National League for Nursing Center of Excellence in Nursing Education designation is designed for schools of nursing and healthcare organizations. These organizations have achieved a level of excellence in a specific area. Through public recognition and distinction the program acknowledges the outstanding commitment of excellence these organizations convey. Designations were first awarded to schools of nursing beginning in 2004 with the first designation for healthcare organizations being awarded in 2012. In addition to Norton Healthcare, schools also received Centers of Excellence designations. They include Johns Hopkins University in Baltimore and St. Xavier in Chicago, each receiving continuing designations for creating environments that enhance student learning professional development. Villanova University, which is located in Philadelphia, was for the second consecutive year designated a certificate of excellence for creating environments that advance the science of nursing education. According to the National League for Nursing website, there are currently 24 schools that have the Centers of Excellence in Nursing Education designation. The schools on the list include larger universities such as Villanova and the University of Connecticut, all the way down to local community colleges such as Brookdale Community College in Lincroft New Jersey. This entry was posted in News on August 2, 2013 by MNR. US News and World Reports issued their best hospitals ranking for the years 2013-2014. They surveyed nearly 10,000 hospitals and ranked the best in 16 adult specialties. Looking at information such as death rates, patient safety and hospital reputation were just a few of the factors that were considered. Only 147 hospitals were nationally ranked in one or more specialties within the survey and 18 made the Honor Roll scoring near the top at least six specialties. For Cancer, US News reports that the number one hospital is the University of Texas MD Anderson Cancer Center in Houston, Texas. Number two is Memorial Sloan-Kettering Cancer Center in New York and third was the Mayo Clinic in Rochester, Minnesota. Another top category, Cardiology & Heart Surgery, had a number one ranking given to the Cleveland Clinic in Cleveland, Ohio. Coming in second was the Mayo Clinic in Rochester, Minnesota and third was New York-Presbyterian University Hospital of Columbia and Cornell in New York City. Other rankings were in Urology where Johns Hopkins Hospital of Baltimore, Maryland landed the number one spot. Cleveland Clinic in Cleveland, Ohio came in second with the Mayo Clinic in Rochester, Minnesota coming in third. When it came to Orthopedics, the Hospital for Special Surgery in New York was the leading hospital in the country. Mayo Clinic in Rochester, Minnesota and the Cleveland Clinic in Cleveland, Ohio came in second and third respectively. When it came to Diabetes and Endocrinology, again the Mayo Clinic in Rochester, Minnesota was the top leader. Cleveland Clinic in Cleveland, Ohio and Mass General Hospital in Boston, Massachusetts rounded out the top three rankings. When it comes to children, Boston Children’s Hospital, MA took the tops spots in Cardiology & Heart Surgery, Diabetes & Endocrinology, Gastroenterology & GI Surgery, Neonatology, Nephrology, Neurology & Neurosurgery, and Urology. Nurses who may be interested in working at these or any other locations should submit their profile and contract a nurse recruiter today. This entry was posted in News on July 16, 2013 by MNR. The American Nurses Association (ANA) held an inaugural assembly for members on Friday, June 28 through Saturday, July 29 in Crystal City, Virginia. According to the press release issued on June 29, the Membership Assembly is the ANA’s new governing and policy making body. The Membership Assembly replaces the previous body known as the House of Delegates which the ANA dissolved in 2012. Items discussed were important and sometimes competing regarding care coordination, access to care, licensure issues and patient outcomes. The board is expected to review further the implications of licensure for nurses to provide technology enabled care. For example, a follow up phone call after the patient has been discharged held across state lines. Other items addressed were bylaws which included a timeline for the smooth transition to a smaller Board of Directors. Lastly to the state associations from Illinois and New York were welcomed to the assembly. The Membership Assembly is expected to meet annually going forward. In 2014 a new board of officers will be elected. This entry was posted in News and tagged nurses on July 9, 2013 by MNR.